You are here: Home / Great Deals / Easter Inspired Tees Just $12.99! Down From $23! Shipped! This deal expires today! 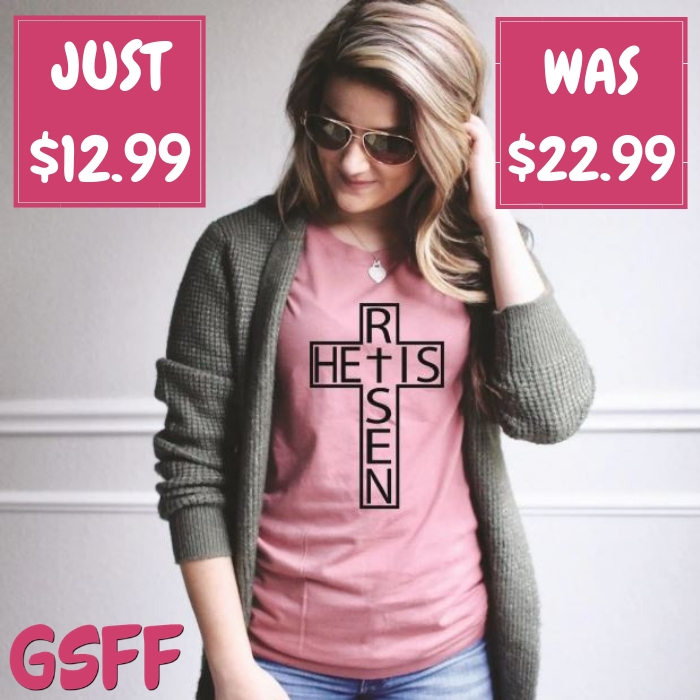 At Jane, you can get these Easter Inspired Tees for just $12.99 down from $22.99 PLUS FREE shipping! Be ready to receive so many compliments since they are lightweight, super soft, comfy, and they look great with jeans, shorts, tights, or anything you can think of. What else to look for?